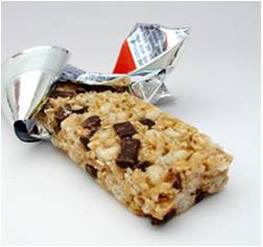 BANGI, 13 Aug 2012 – A new compact food specially formulated as an energy bar has been successfully developed by a food scientist from The National University of Malaysia (UKM). 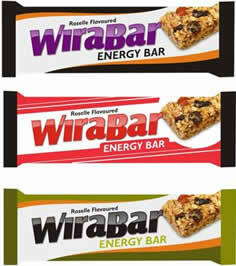 It will be sold in the form of a food bar, gel as well as a drink marketed as WiraBar. It took Head of the Innovation Centre for Confectionery Technology (MANIS), Faculty of Science and Technology, Dr Nazaruddin Ramli two years to complete his research on the product which he started in September, 2009 with a RM80,000 grant from the UKM Innovation Funds. 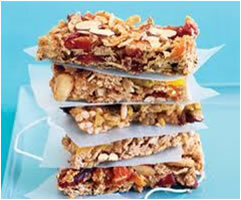 He had then thought of producing a Malaysian energy bar with local flavours as there were only imported products then. Dr Nazaruddin also wanted to formulate a product that meets the energy needs of those leading active lives including those in the military and the uniformed services. 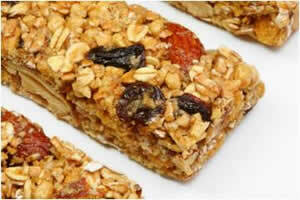 The study was to develop an energy bar that can give sufficient energy to enable anybody to do his work. It was found to be suitable as breakfast replacement for those in a rush and do not have the time to sit down for their morning meal. WiraBar can provide the nutrition and energy with real fruit and nuts and can be consumed before and during high intensity competitions or training sessions like running, cycling and swimming and is thus suitable for athletes and the health-conscious. UKM Technology Sdn Bhd will be marketing the product and hopes to penetrate the local market with very competitive pricing against the imported brands. Its Project Manager, Mohd Fairuz Mat Isa said: “The novelty and innovation of the research is the formulation itself which resulted in the production of a local energy bar with a good source of nutrients that is convenient and easy to carry around. While WiraBar will soon meet the consumers, Dr Nazaruddin is already carrying out more research to produce seaweed-based confectionery. The research is being funded with a RM3.1 million grant from the Ministry of Agriculture and Agro-Based Industry under a two year project. Dr Nazaruddin hopes to produce C-weed powder which can also be used to make noodles, bread, drinks and other foodstuffs. Dr Nazaruddin received his first degree in Food Science and Technology from Universiti Putra Malaysia (UPM) in 1991 and his Master’s in Food Science and Nutrition from UKM in 1998 the same year he received his Diploma in Chocolate and Confectionery Technology, from the Central College of the German Confectionery in Sollingen. In 2008, he received his doctorate in Enzyme Technology from UPM while obtaining his Certificate in Introduction Sugar Confectionery also from the Central College of German Confectionery Sollingen the same year.